A self levelling screed is a polymer-modified cement that has high flow characteristics. Self-levelling screed is used to create a flat and smooth surface with a compressive strength similar to or higher than traditional screed. We offer a wide range of self-levelling screeds, if you don’t see a product on here, it doesn’t mean we don’t sell it, contact us for more information. In the Weber range of self-levelling screeds we supply Weber 4160 Fine Flow Rapid, Weber 4310 Fibre Flow, Weber 4610 Industry Top, Weber 4031 Super Flow, Weber 4150 Fine Flow, Weber 4320 Fibre Flow Rapid, Weber 4655 Industry Flow, Weber 4602 Industry Base Extra and many more from the Weber brand. From Sika we supply SikaLevel 20 Levelling Compound SikaLevel 25 Latex Self Levelling, SikaLevel 30 Latex Ultra and SikaFloor Level 30. We supply ARDITEX NA, ARDEX K 39, ARDITEX CL, ARDEX A 55 SPEED, ARDITEX RS PLUS, ARDEX K 15, ARDEX K 11, ARDEX K 15 HB, ARDEX K 301, ARDEX FA 10 and ARDEX FA 20. Tekcem are a leading supplier of screeds and screed related products. Tekcem has a number of self-levelling floor screeds. This includes Tekcem 550, Tekcem 550 Fibre, Tekcem 220 Rapid and many more! 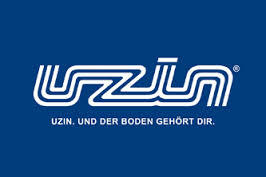 We supply the following UZIN self-levelling products – Uzin NC 195 Thin Screed & Levelling Compound, Uzin NC 174 Self Levelling for wood flooring, Uzin NC 170 LevelStar, Uzin NC 148 Fibre Reinforced Levelling Compound, Uzin NC 145 Standard Levelling Compound, Uzin NC 117 Gypsum Based Levelling Compound and many more – contact us for the full Uzin range. Mapei manufacture a range of products for screeders, Mapei was estabhlished in 1989 and has a start of the art manufacturing facility in Halesown, near Birmingham. We supply their self-levelling screeds including Mapei Ultratop Industrial, Mapei Ultratop Standard, Mapei Ultra Plan, Mapei Latexplan Trade, Mapei Fiberplan, Mapei Ultraplan Eco, Mapei Ultraplan Maxi and Mapei Ultraplan Renovation Screed. We supply Tarmac Pozament TruFlow B and many more Tarmac products. The Ronacrete Screeds range is made up from the following categories – polymer screeds, rapid drying screeds, underfloor heating screeds, self-smoothing screeds, damp proof membranes, screed repairs and screed enhancers. The Self Smoothing Screeds category contains RonaScreed Self Smoothing Exterior Screed which is a flow applied, moisture tolerant, industrial flooring system. It provides a hard, durable floor surface for new floors or for renovating existing surfaces. We supply the following RonaScreed Self Smoothing Exterior Screed, RonaScreed Self Smoothing Levelling Base and RonaScreed Self Smoothing Levelling Topping. We supply Alpha Smoothing Compound, Isocrete 4000, Isocrete 1500, Self Level Base, Isocrete 5000, Isocrete Flowscreed Industrial Top, Self Level Plus and many more!